If what you see is what you get, Jules is in serious trouble. 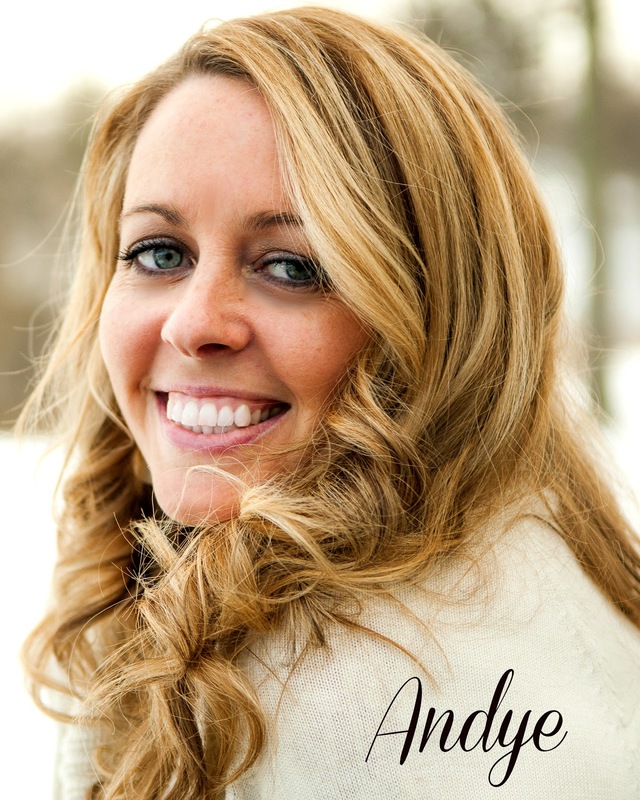 The vision is everywhere - on billboards, television screens, windows - and she’s the only one who sees it. And the more she sees it, the more she sees. The vision is giving her clues, and soon Jules knows what she has to do. Because now she can see the face in one of the body bags, and it’s someone she knows. Someone she has been in love with for as long as she can remember. 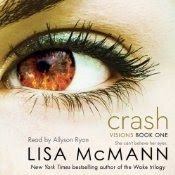 CRASH is an exciting concept and Lisa does a great job of keeping the reader hooked throughout the entire book. If you're looking for an exciting paranormal that reads like a contemp, I think you'll enjoy this one. I thought the reader, Allyson Ryan was pretty good. It took me awhile to get used to her because she over annunciates, which has a tendency to sound robotic and pull me out of the story. I'm also a little partial to readers who sound the age of the person telling the story, especially when it's in first person. But, she did do a good job on different voices, and when things got intense or emotional, she did a great job of portraying that. Overall, I enjoyed it, and I'd recommend it if you can overlook those things like I did! Here's a sample. Though this book promises a lot of action, there actually wasn't much of it. The entire book was basically a waiting game, with some suspenseful moments, until the end, which was intense. I'd say this book was more about Jules and her relationships with her family, and with Sawyer. But that doesn't mean it wasn't fun. If you're a fan of Romeo and Juliet types, than you will really enjoy this forbidden romance. I loved the tension between Jules and Sawyer, and the mystery surrounding why they were forbidden to be together. Sometimes I can get aggravated when a girl is SO hung up on a guy, but in this book, I think it worked. And Sawyer was just too sweet! Jules was pretty awesome. Although she thought she just might be going insane, and she knew no one would believe her, she would stop at nothing to find a way to save the people that she saw being killed in her visions. And she wasn't afraid to put it all out there. I have to admire that! Sawyer was pretty fantastic himself, and although he had some serious family issues and character flaws to overcome, there was never any doubt that he was a really good guy. And the award goes to......Trey! What an amazing brother!! I wish that I had the kind of relationship with my brother when I was growing up that they had with each other (totally my fault....I was a horrible sister). The unique way that Jules saw her visions. I've never read/heard anything like that before, and it was really unique. I also loved the twists, I always love twists! "Oh my dogs!" Yeah, that phrase. Annoyed the crap out of me. Well, this particular story was wrapped up, but Lisa added a doozy at the end to set up the next book. It should be interesting! I got this as an audio file, which I'll keep. AHhhh!! "Oh my dogs!" Drove me absolutely crazy!!! At first I wasn't sure about the reader either, I thought she sounded a bit old, but then she grew on me and I thought she portrayed Jules really well. Trey was awesome!! I loved that he was not only her brother, but her best friend. I also thought Sawyer was sweet. Awesome review!! Hahaha. Amy, I believe we are book soulmates!! Oh, there were SO many "balls" references. Poor girl!! Ooh I'm super curious about the visions now! Can't wait to read Crash!